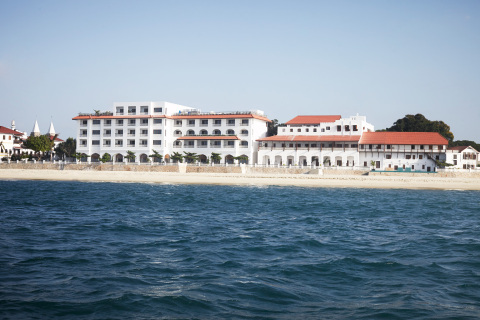 CHICAGO--(BUSINESS WIRE)-- Hyatt Hotels Corporation (NYSE: H) today announced the opening of Park Hyatt Zanzibar, marking the first ever Hyatt hotel on the idyllic East African island and the 36th Park Hyatt hotel worldwide. Park Hyatt Zanzibar reflects the intimate and understated elegance of the Park Hyatt brand while embracing the rich culture, heritage and historical significance of Zanzibar’s unique Stone Town. Park Hyatt Zanzibar is situated on the beachfront in Stone Town, the historical center of the city and a designated UNESCO Heritage site. As the cultural heart of Zanzibar, little has changed in Stone Town over the last 200 years. The town’s unique blend of Arabic and African cultural influences originate from the 19th century when Zanzibar Island served as a center for the trade of spices. During this period, Zanzibar, also known as the “Spice Island,” was the most important trading hub along the east coast of Africa. Today, the streets of Stone Town are filled with rich aromas of spices, perfumes and local handcrafts. Park Hyatt Zanzibar is housed in two buildings, one of them Mambo Msiige, a UNESCO heritage building steeped in history, grace and mystique with roots dating back to the 17th century. Mambo Msiige is a typical Zanzibari mansion and an architectural gem, featuring intricate carvings and centered around a peaceful courtyard. The name alone meaning “not to be copied or imitated,” embraces true uniqueness. The new and purposefully built Zamani Residence of the hotel connects to Mambo Msiige, blending old history and contemporary charm, while embracing Swahili culture with a blend of Arab, Persian, Indian and European influences. Park Hyatt Zanzibar provides the ultimate haven amongst Stone Town’s labyrinth of winding alleys, bustling markets, mosques and famed Zanzibari doors, featuring magnificent ornate wooden carvings. The town’s key attractions are easily accessible by foot from the hotel’s ideal location, including Forodhani Gardens, the Old Fort, the Old Dispensary, the Peace Memorial Museum, the Palace Museum and the House of Wonders. Park Hyatt Zanzibar features 67 spacious guest rooms, including 11 suites. Oceanfront rooms feature spectacular views of Dhow Harbour and the Indian Ocean. A perfect blend of contemporary style, modern technology, timeless regional accents and sheer luxury, all guestrooms reflect the Park Hyatt brand’s intimate elegance, providing an ideal place to stay for discerning business and leisure travelers. Park Hyatt Zanzibar’s Zamani Residence offers a unique dining concept, featuring a range of authentic cuisines catering to all tastes. Zamani Residence includes a Library with Veranda, a Living Room and a Dining Room with an outdoor terrace, and a residential style kitchen, allowing guests to dine in a variety of different spaces. The hotel’s Pool Lounge specializes in local fish dishes complemented with traditional western sandwiches and salads. For those in search of rest and relaxation, guests are able to retreat to the tranquil sanctity of the hotel’s Anantara Spa and indulge in a selection of body treatments, massages and personal services within the spa’s hair salon. Guests can also enjoy the exclusive oceanfront infinity pool and a fully equipped fitness center featuring state-of-the-art cardio and strength training facilities. Park Hyatt Zanzibar offers more than 1,700 square feet of flexible meeting and event facilities, accommodating anything from discrete board meetings and small, intimate social occasions to elegant cocktail receptions, sophisticated weddings and stylish state functions. All meeting and events rooms offer the latest audiovisual equipment and individually adjustable air-conditioning. There are currently five Hyatt hotels open throughout Africa, including Hyatt Regency Sharm El Sheikh Resort, Hyatt Regency Casablanca, Hyatt Regency Dar es Salaam The Kilamanjaro, Hyatt Regency Johannesburg, and Park Hyatt Zanzibar. There are currently four hotels under development, including Hyatt Regency Arusha, Park Hyatt Marrakech, Hyatt Place Taghazout in Morocco, and Hyatt Dakar in Senegal. For more information on Park Hyatt Zanzibar, please visit the hotel’s website.